About 67% of projects in Delhi/NCR are delayed by more than 2 Years. The act has a provision of mandatory registration of Builders and real estate agents and establishment of real estate regulatory authority to look into the matters related to complaint against builders. A Builder complaint can be lodged in RERA under Section 31 of RERA Act. Every State in India has RERA and under RERA builder projects are registered there are stringent provisions under which the builder has to disclose details of the project and file sanction plans,completion dates etc before he could even do marketing of the project. There are strict penalty clauses in the act with regards to non-registration of the projects. Under Section 31 an allotee can approach RERA and can file builder complaint under RERA act. The format of complaint differ from state to state. Here we will evaluating RERA forums of Delhi and NCR. However it is advisible to visit and file complaint under section 31 of RERA act against builders or rela estate agents in Delhi. Haryana Real Estate Regulatory Authority (H-Rera) will be finally set up in Gurugram from February 1, officials said. The temporary office will start functioning out of the public works department (PWD) guest house on Old Railway Road near the Gurugram police commissionerate. However, the permanent office will come up in Sector 44 six months later. “The authority is of the view that Krisumi Corporation has violated the provisions by publishing the advertisement in the newspapers as well as on the website without getting prior registration of the project from the Haryana Real Estate Regulatory Authority, Gurugram in whose jurisdiction the said project falls and thereby committed the violation of Section 3 (1) of the Act and rendered themselves for action under Section 59 (1) of the ibid Act,” H-Rera chairman Khandelwal observed in the detailed order. Directing the company to pay Rs 30 lakh as penalty for the violations, the authority further observed that such violation would not be allowed. MUMBAI: Maharashtra Real Estate and Regulatory Authority (RERA) recently directed a builder to repay with interest Rs 25 lakh including a cash amount of … The Rera Member said that grounds of delay given by the builder, could be treated as mitigating factors to refuse buyer’s claim for compensation. How much compensation under RERA? RERA was enacted for quick redressal of complaints against the builders but compensation under RERA is a concern for many buyers. In a bid to protect the interest of home buyers as well as weed out non-serious and unscrupulous players from the market, the Real Estate (Regulation and Development) Act, 2016 (RERA) has proposed heavy penalties on builders who will henceforth either delay their projects or won’t comply with RERA norms. Under Section 18 of the Act there are two cases under which the builder is liable to return the money of the buyer. 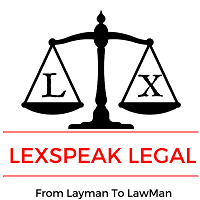 One case is if builder is unable to give possession as per agreement or discontinuous his business then the builder is liable to pay interest including compensation. What section 18 contemplates that there is no separate compensation awarded to the buyer the interest component includes compensation. In case buyer opts for possession then if there is delay in possession then the buyer will get interest of delay. Compensation under RERA is also there in section 18(2) and 18(3) in which but 18(2) talks about defect in title of land the buyer will be entitled to compensation and under 18(3) also any other violation execept mentioned above. How much of interest rate? The interest percentage and the compensation amount (to be mentioned in the agreement of sale at the time of booking) in the case of any default could differ state-wise. Maroo says, “The state governments are vested with the powers to fix the rate. At present, as SBI’s MCLR is 8%, developers will have to pay 10% interest on the paid amount to the buyers. At the same time, buyers will also pay the same interest at 10% on delayed payment of their dues and not the penal rates of 12% to 18% as mentioned in the sales agreement. I wanted information of Bangalore, Karnataka State RERA. 2. Our developer was under investigation by RERA Karnataka State, for a few days and all of a sudden his name was removed from Investigation. Could you tell us how this could have happened.